Although I only buy Burdastyle a couple of times per year at the most, I have accumulated quite a stack of magazines. Most editions that I picked up myself date from 2004 to the present and while I don’t remember why I bought some issues to begin with in others I keep discovering patterns I would like to try out. One of the issues that seems to get better with time is the May edition of 2004. 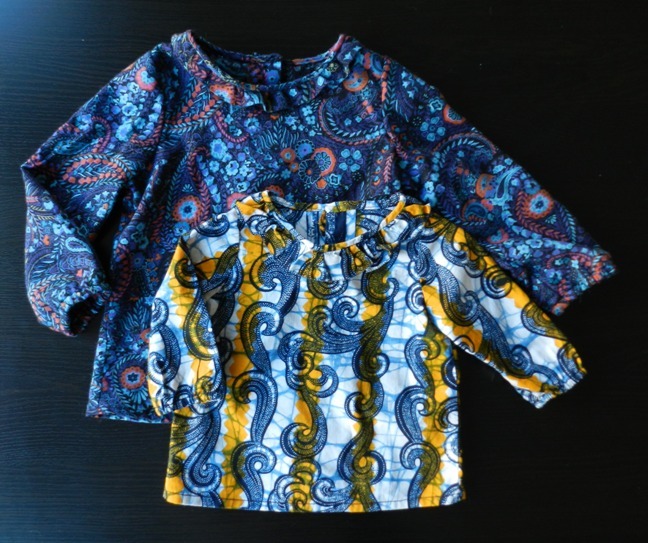 A few patterns from Burda 05/2004. 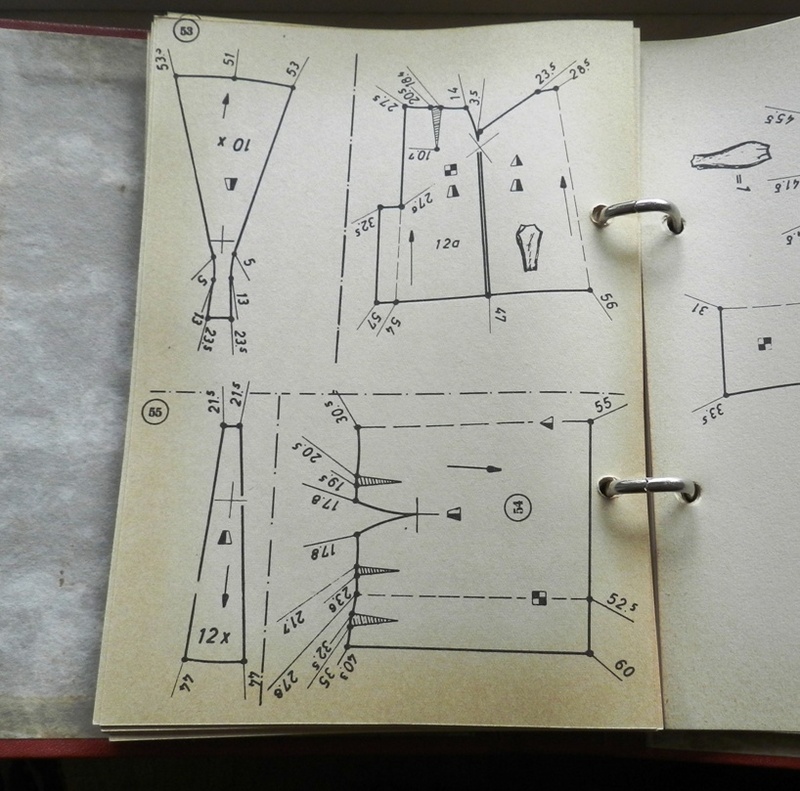 Today’s post is about #111, the front knot top in the upper right corner. 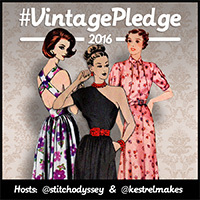 A long time ago I made #115 in some icky synthetic fabric, never wore it and then donated it. Right now I really like #123 and #124. 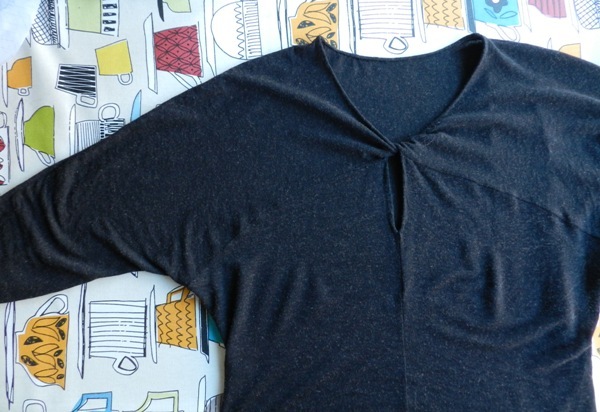 When I browsed through more recent editions of Burdastyle at the library, I noticed that tops with some kind of knot or twisted pattern pieces make a regular occurrence and felt inspired to make one myself. 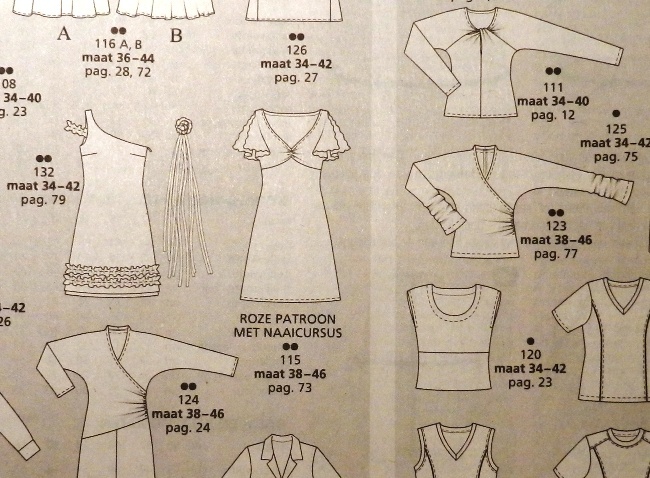 I had a hunch that one of my Burda magazines contained a similar pattern and found Burda 05/2004 #111. This pattern never registered with me before, probably because I had no interest in making jersey tops until I got my overlocker a year ago. The fabric is a single jersey that mostly consists of viscose with some wool and Lycra mixed in. I bought it from tyg.se with no particular project in mind. Once I almost completed the trench style skirt that I wrote about in my last post of 2015, I figured it would be nice to pair it with a lightweight top that could easily be tucked in. Burda 05/2004 #111 seemed like a good candidate. This top came together very quickly, especially after reading other people’s experiences with this pattern on Pattern Review. Communing with Fabric even wrote an excellent post on how to draft and construct your own knot front top based on a basic dolmal sleeve top, so much of the mystery had already been unraveled. Burda 05/2004 #111. The right and left front yoke/sleeves are, in fact, one pattern piece that is twisted before it is attached to the two front panels. The back is cut in one piece, but the front consists of one sleeve/yoke piece and two front panels. When laying out the pattern pieces, I discovered that my fabric was only 130cm wide and, thus, not wide enough for a long-sleeved dolman top. Determined to use the fabric anyway, I placed the back piece and front sleeve piece on the cross-grain, while cutting the two front panels on the grain. As the finely knit fabric is very stretchy in all directions, I figured it wouldn’t make a big difference. 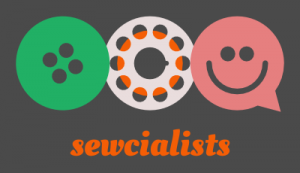 I sewed all seams on my overlocker and used a twin needle to hem the sleeves and lower hem. While the hems look acceptable, I feel I still need some more practise with knit fabrics and twin needles to get a really good result. The only thing that I really struggled with was finishing the neckline, which is why this top was completed in 2016 instead of 2015. 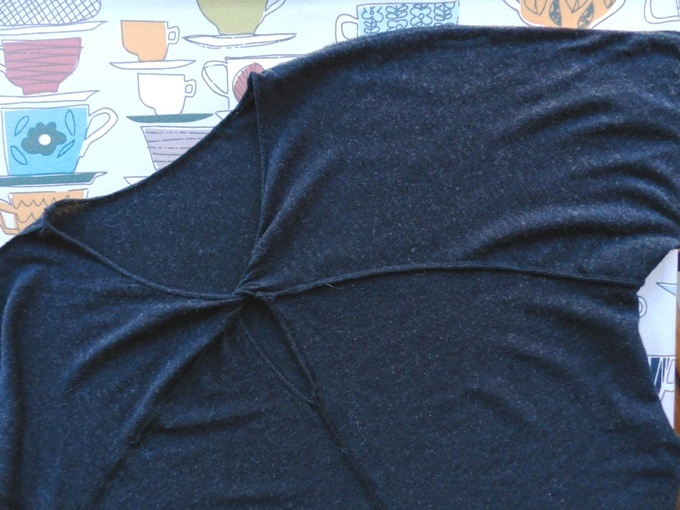 I tried a couple of techniques – sewing over tissue paper and using clear elastic – but found that hand stitching the edges of the neckline and front slit gave the neatest finish. I turned over the hems twice, which resulted in a little bit too much bulk at the hemlines. I really like the design and fit of this top. Apart from shortening the front slit, I did not make any alterations. 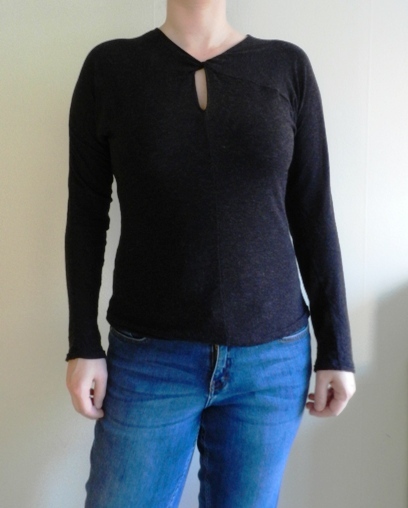 I sewed a size 40, which is the largest size this pattern comes in, and I definitely think the stretchy, slinky knit I used contributes to it fitting so comfortably. I was slighlty disappointed, though, with how the knot turned out. While this pattern probably works best in lightweight knits, I think the knot looks a little sad. If I ever make this again, I might go for a knit with a little bit more body. I could also have used a double layer of fabric, which would definitely have made it winter-appropriate and have given a clean finish all around. 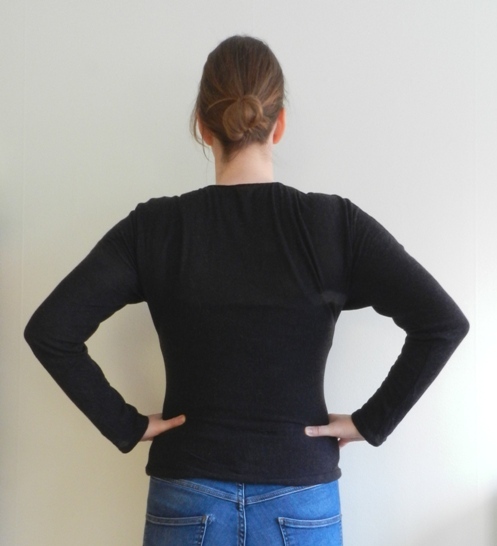 Backview of Burda 05/2004 #111. 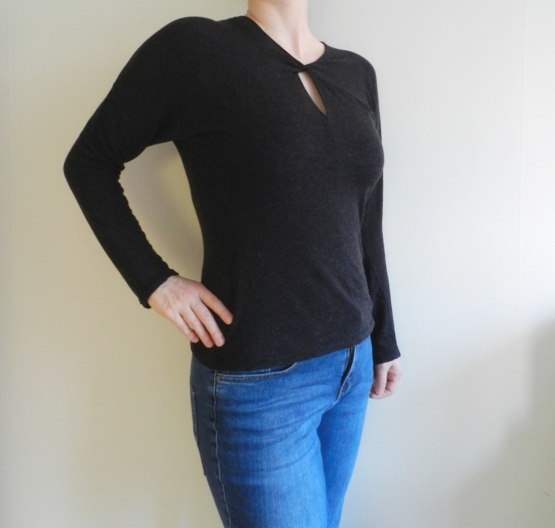 The dolman sleeves are relatively narrow, which works fine in a stretchy knit. 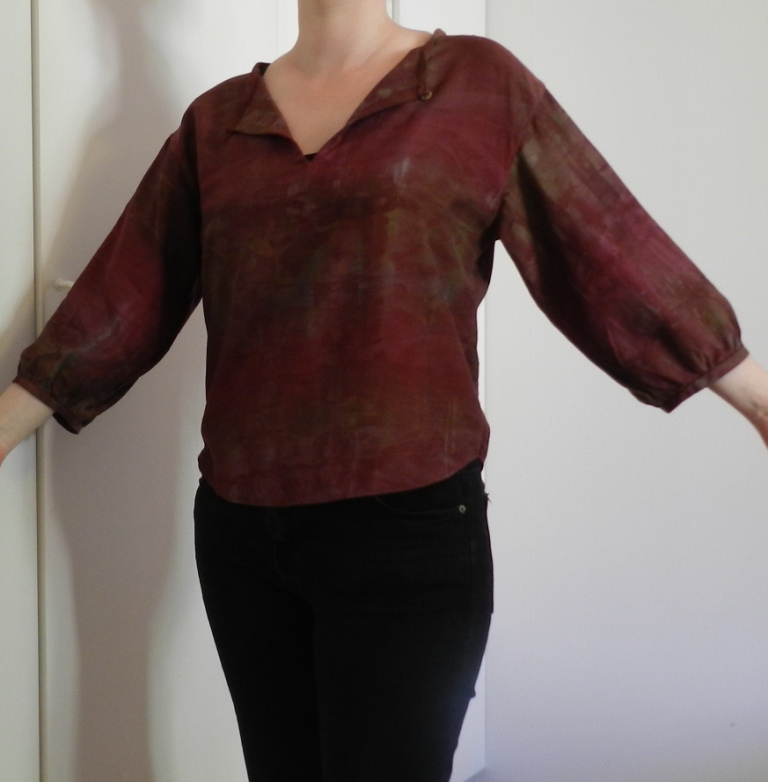 So far, I think the fabric feels and looks wonderful and I hope it stays that way after a couple of washes. It is also remarkably warm for such a lightweight and slightly sheer fabric and will probably be perfect for early autumn and late spring. I still have enough left for another sweater and am tempted to try out another type of knot or twist top, they’re a lot of fun to make! One of my New Year’s Resolutions was to complete five ongoing projects before starting a new one and this is #1/5.